Motorhead were unable to complete their Aug. 27 show in Utah after Lemmy experienced problems breathing. For the frontman’s safety, the following gig in Denver, Colo. was cancelled as well. Lemmy would walk off stage again in Austin, Texas on Sept. 1 telling the crowd, “I can’t do it,” before returning to the stage and offering an apology. Two additional Texas shows were scrapped, but things are looking up for Lemmy and Motorhead fans hoping to catch the band on tour. 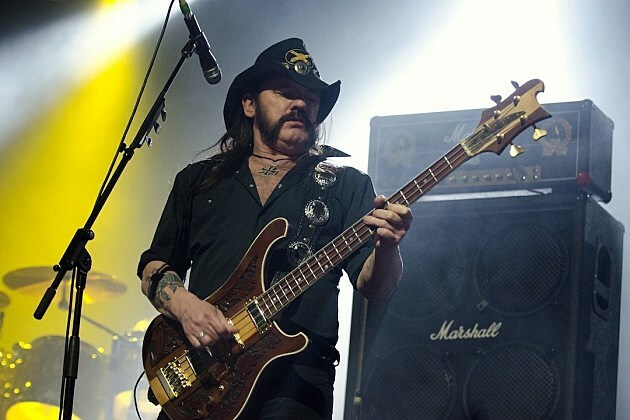 Here’s wishing Lemmy the best on his relentless pursuit to entertain his fans. For the rest of Motorhead’s upcoming U.S. tour dates, click here.